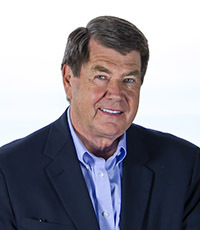 Charles V. Sederstrom, Jr. began practicing law in Omaha, Nebraska in 1968 with Donald H. Erickson and subsequently began the law firm of Erickson|Sederstrom. Sederstrom’s area of specialization has been in Corporate Law with a particular reference on Health Law. He was formerly Senior Vice President of Legal, Compliance and Legislative Services to Alegent Creighton Health, which is the largest nongovernmental employer in the state of Nebraska and the largest hospital in the state of Nebraska with 10 hospitals, 450 employed physicians and over 100 separate points of entry into the health system. Sederstrom is a very active member and leader in many legal and civic organizations, including American Diabetes Association, American Lung Association, Arthritis Foundation, Boy Scouts of America, Combined Health Agencies Drive of Nebraska, Goodwill Industries, United Way, Rotary International, Chamber of Commerce, and the Omaha Home for Boys. During the past twenty years, Sederstrom also has been involved with the Salvation Army having served on the Omaha Board and for over ten years on the National Board. In addition, he was formerly Chairman of the Combined Health Agencies of America.